It happened as I finished lunch today. It's glorious. I wanted to start cheering - or maybe dancing. As you can see, I came perilously close to it not happening, but I was able to avert danger both times. I'm marking today on my calendar, because today is the day that I got my first honest-to-goodness No-Hitter*! 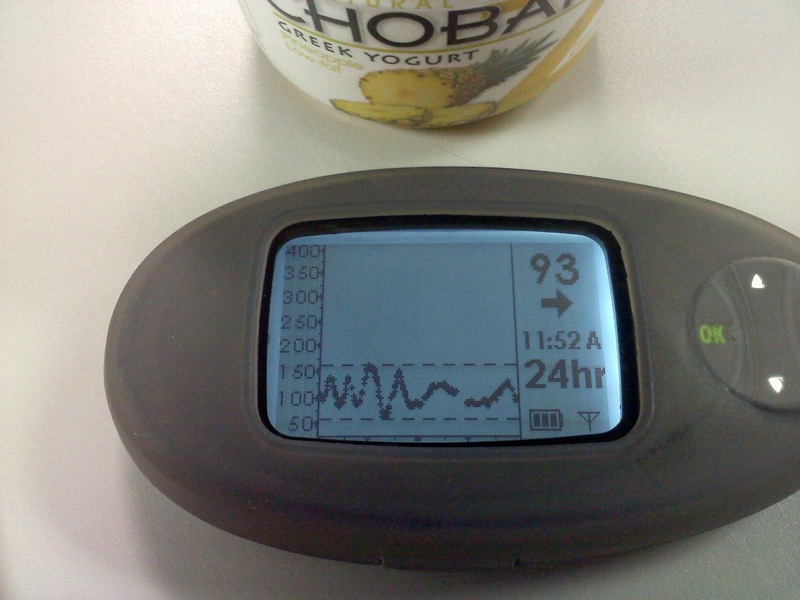 "A no-hitter (also known as a streamline) is a time period in which a diabetic does not hit their high or low threshold on their CGM. For a Dexcom user, they must be without any alarms during the entire day, and the day must be at least 24 hours. A diabetic who prevents their blood sugars from reaching a threshold is said to have "bolused a no-hitter"." I didn't vary anything significant in my routine - in fact, thinking back, I actually ate more carbs than I normally do on a weekday. Congrats! Way to go! Here's to Yogurt - Go, Go Gadget Greek Yogurt! That seems me you "Bolused a Perfect Game"!! Way to go. That is awesome!!! GOOD JOB! woohoo! this makes me jealous (but in a good way) :D i've come close, but never achieved it yet. way to go, kimmypants! that's awesome! Talking About Type 1 Talk. Babies Are Taking Over My Brain. My Bad Romance... With Adhesive. D-Feast Friday: Cream Cheese Penguins. Robot Meter Cases And Other A-Muse-ing Things. 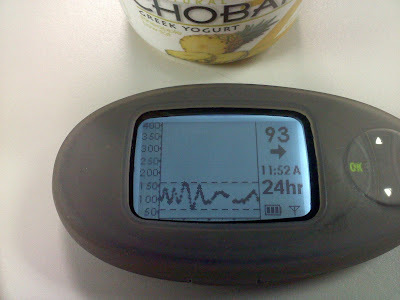 A Very Diabetes-y Weekend: Part Two.